KTR Promotions in Venice Beach & Los Angeles California: Weekend Update.....So Many New Events Added, Plus PIck of the Week is this Saturday! Weekend Update.....So Many New Events Added, Plus PIck of the Week is this Saturday! If you were planning on going to Sunset Junction (Boo Hoo), don’t fret. So sad to hear, but there is still lots going on that you can enjoy. 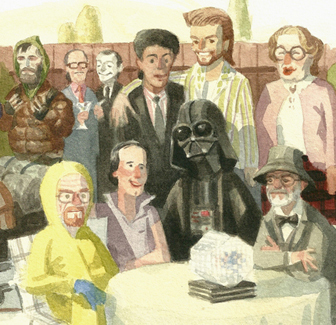 Some fun stuff in Silver Lake area too on Friday. 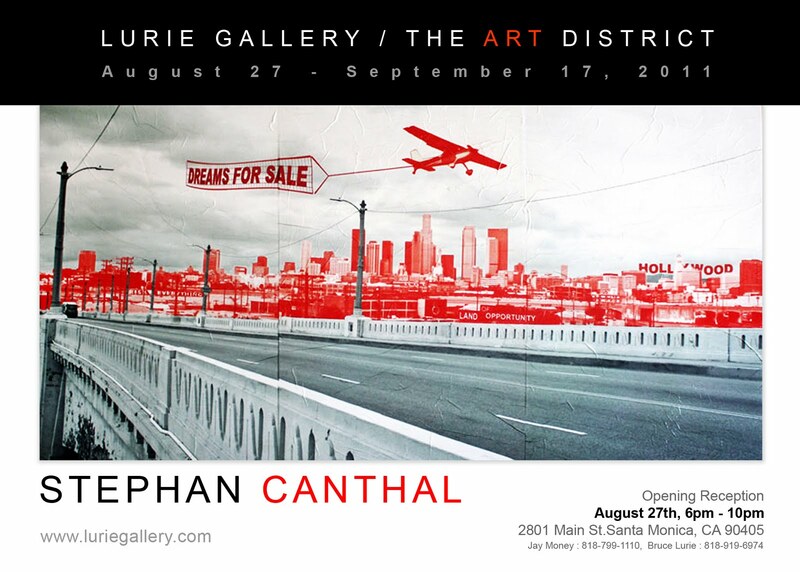 However, My Pick of the week is this Saturday, the opening reception for artists, Stephan Canthal and Mark Hobley at the Lurie Gallery/The Art District. Both artists are incredibly talented. 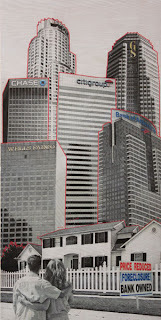 I am especially excited about Stephan Canthal’s The "America Dream" series, which is mixed media on wood, as well as Urban Landscape images on aluminum. See below, under Saturday Events for more info on the artists. But before we start the Weekend…..If you are an artist, or know one….. Attention Artists!!! The 6th Annual Pico Art Festival, is looking for artists, interested in participating in their group show to be displayed in a “Gallery Pavilion". 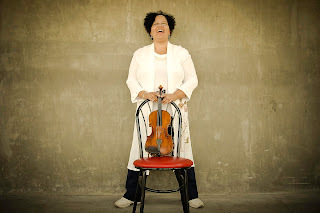 The festival will take place at Virginia Ave Park in Santa Monica on Sunday October 2nd, 2011, from 9am to 4pm. So many new events….starting tonight! Downtown there is a fun event happening, head to the Music Center and learn how to dance and shake it, move it and groove it under the stars with live music/DJ and beginner dance lessons sprinkled throughout the evening. So far there are only two of these events scheduled. This is the first and features Zydeco and runs from 6:30 pm till 10:00 pm. Dance lessons at 6:30pm and throughout the evening. Also since you are downtown, you may want to stop by “Grand Performances.” it’s a Free event that happens in Downtown L.A.’s California Plaza. Grand Performances’ offers wonderful performers, all established singers, dancers and musicians in this free performing arts summer series. 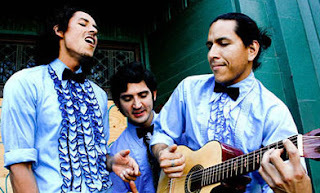 Today at noon, you can catch Chicano Batman (see photo) and later in the evening at 8:00 pm. There is a tribute to renowned music producer Quincy Jones entitled. “From the Roots to the Fruits: A Tribute to Quicy Jones. 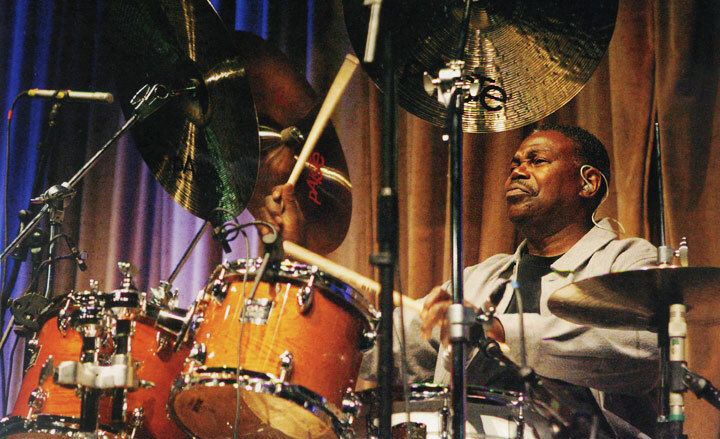 Drummer Ndugu Chancler and pianist Patrice Rushen have shared much of Q’s musical journey. 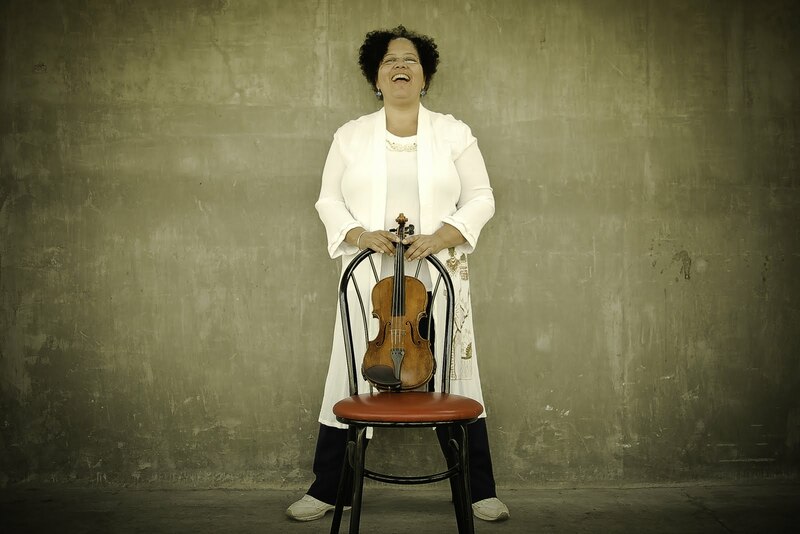 Joined by Alphonso Johnson, David T. Walker, and others, they will celebrate the music of this famed composer, musician, conductor, arranger, record, concert and television producer's rich legacy that ranges from bebop to hip hop. 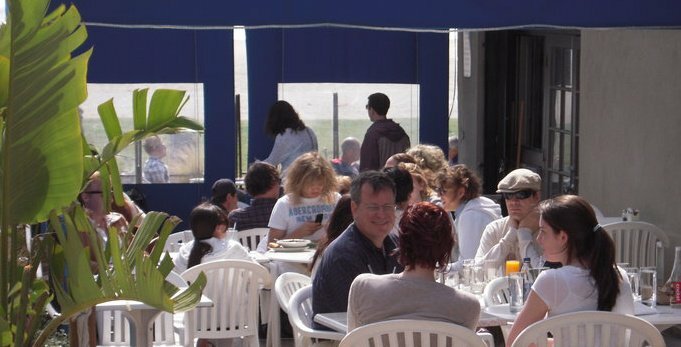 Or stay by the beach and head to Gallery 1988 Venice is a quirky Venice gallery located at 214 Pier Ave. right off Main St., actually it’s in Santa Monica, not Venice. See, I told you it was quirky. Another lovely spot to enjoy the beach and enjoy the last bit of summer, is Figtree’s Café. They have a wonderful happy hour and will have some great live music tonight at 5:00 pm. Tonight’s show features Beatle tunes from Fefe. Show goes till 7:00 pm. 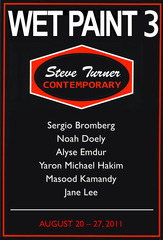 Or if you are up to an art event in the Miracle Mile area Steve Turner Contemporary presents Wet Paint 3 Artist Talk: Sergio Bromberg. Enjoy an artist talk held from 8:00 pm till 9:00 pm. 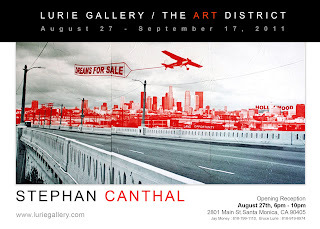 Technology is a key component in the work of Stephan Canthal. 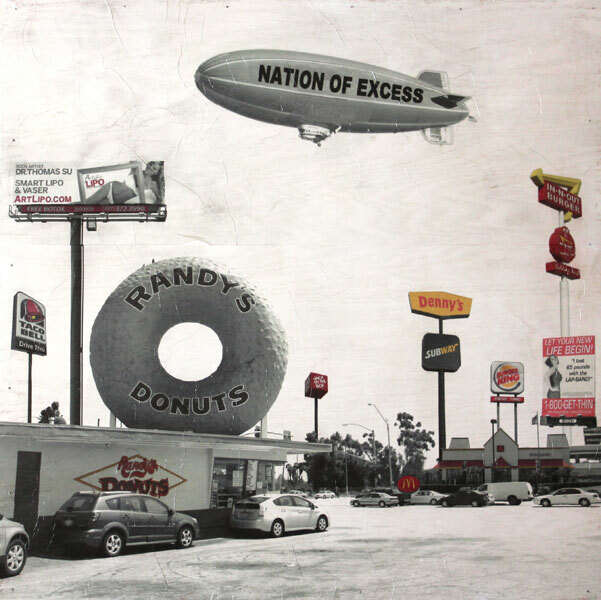 His signature iconographic images of industrial Los Angeles are suggestive of his architectural background and trained eye for structure, space, and substrate. With his fresh, imaginative approach to photography, Canthal began to experiment with unconventional photographic mediums. He wanted to merge traditional photography and modern art, breaking old rules through original composition and cutting-edge presentation. For his new series, "American Dreams", he pushes the photographic envelope yet again. 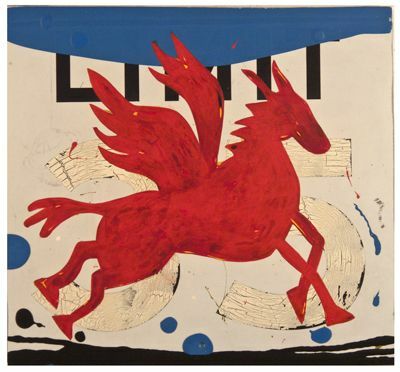 This time using wood as his canvas, Canthal creates a photo transfer process on top of painted or stained wood. 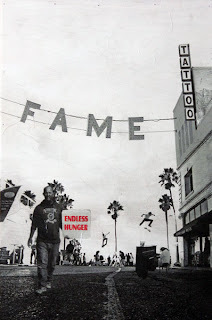 merging iconic images of LA, with text and other imagery. This series, "American Dreams", explores the idea of what The American Dream used to stand for and what it has evolved into. 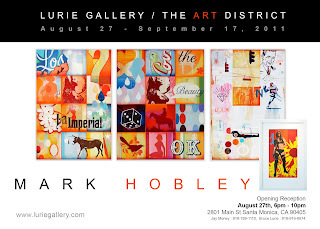 Artist, Mark Hobley, also will be showing his mixed media on wood. 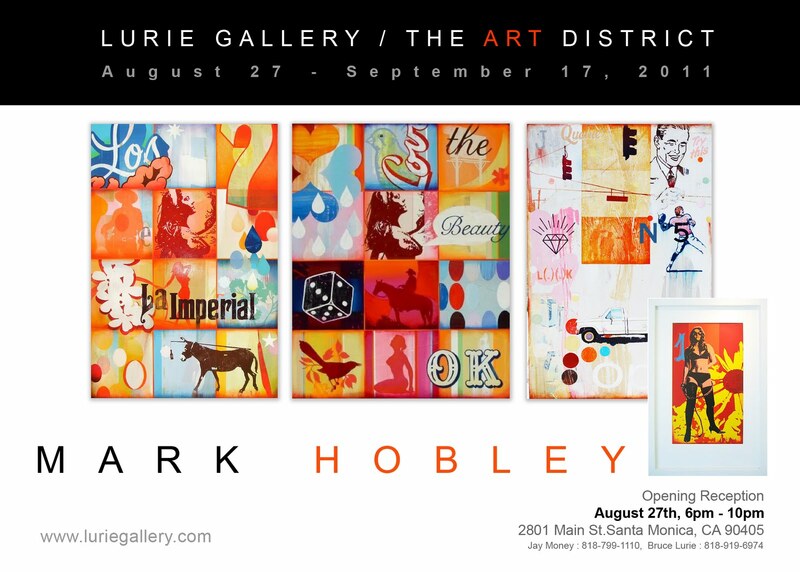 Hobley is a wonderful artist as well. 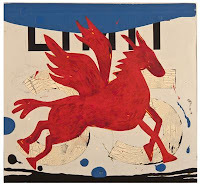 If you need more art time, pop into the Gebert Gallery (1345 Abbot Kinney) for the show, "Alter-native Signs" by John Randall Nelsonthe. 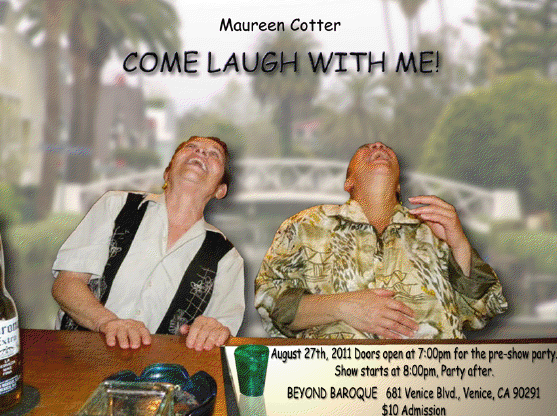 If you want to experience a wonderful one woman show, stop by Maureen Cotter's 7th annual one woman show at Beyond Baroque, 681 Venice Blvd. in Venice. . Doors open at 7pm for pre-show party. Show starts at 8pm. Party after till midnight. Indoor/outdoor seating on first come bases. The show will be projected on the Venice Fire Department wall for those sitting outside by the bar. This year's theme is humor. $10 admission at the door. Get there early as this is a sell out event every year. In Culver City, Giant Robot hosts Smoke and Mirrors, a show featuring new work by Bay area based artist Deth P. Sun. 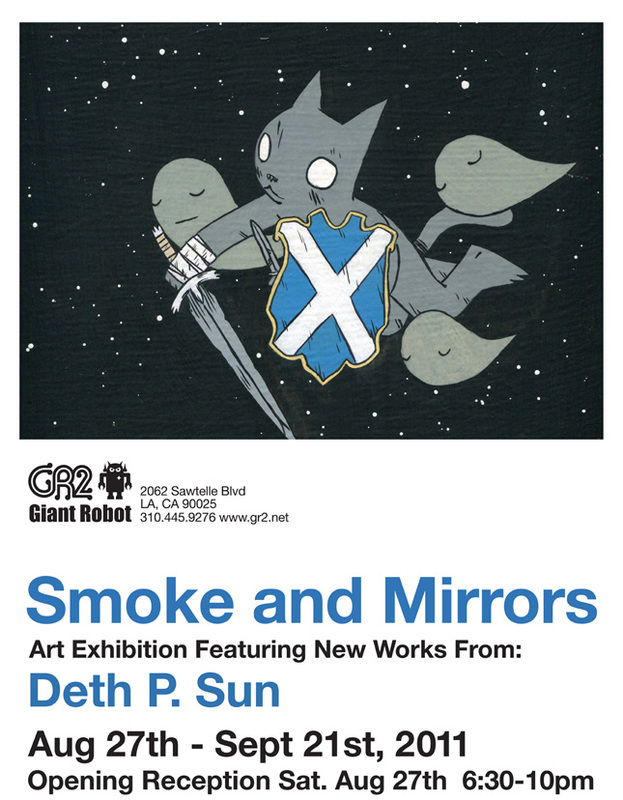 This exhibition features Sun’s acrylic paintings on panels bring epic landscapes and cosmic occurrences into a private and personal world. Influenced by David Attenborough, as well as the Moomin series and films of Terry Gilliam, Deth seeks to create a fantasy world as a reflection of his own experiences and worldview. Here’s another one that is close to the Silver Lake area, check out SnPGallery. 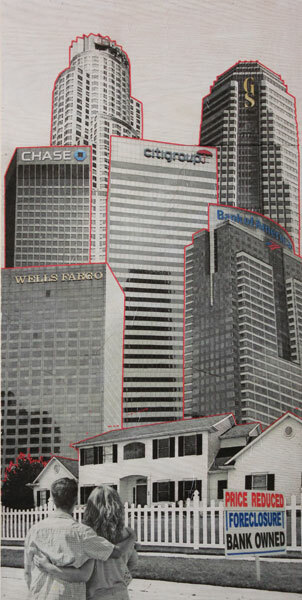 Curated by Greg Cohen, this solo show features artist, Dani Vinokurov. 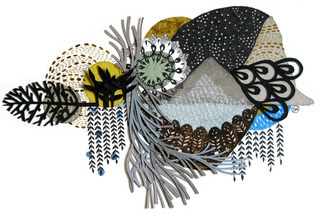 Her collages include embroidery and weaving techniques alongside minuscule ink drawings, paper cuts, and watercolor washes to create environments that not only gesture towards natural landscapes, but also reveal the luscious world of historic and ethnic textile design. And what about Downtown?….well, there is one more for Grand Performances, which is a free outdoor concert series in it’s 25th year located at California Plaza in Downtown LA. 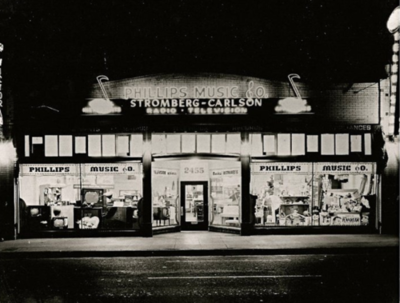 Tonight’s show features A Night at the Phillips Music Company. 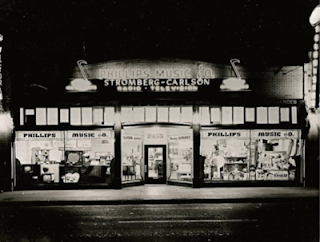 This imagined evening of musical history, set in the landmark Phillips Music Co store, will feature an all-star line-up of musicians, writers, and Boyle Heights locals, along with video, rare photos and spoken word tributes. Reflecting the rich tapestry of Jewish, Japanese and Mexican immigrants who shared the trials of assimilation into mainstream Angeleno culture, the Phillips family invites you to join us as we celebrate the neighborhood and the Phillips Music Company's East L.A. democratic ideal. How bout a FREE BRA and some ice cream?…..Say What? No kidding. Bras are expensive!!! So many women find it hard to choose the correct bra, well there will be a team of professional bra fitters lined up, ready to help you find a cup that fits you just fine - and you'll get a perfect fitting bra for free! Girls come get your free bra, boys….enjoy the view! There will be women everywhere!! The Happening Gallery is having a Sunday afternoon opening reception of a group show, entitled “In the Flow”.